TEL Incorporated (formerly Tim’s Electric and Lightning Protection) has been in business performing commercial electrical work and installing lightning protection / grounding systems for 37 years. 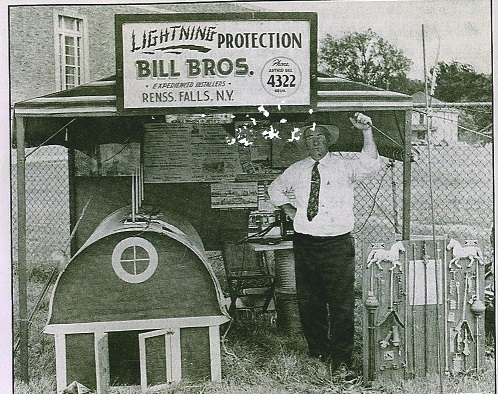 Owner Tim Bill started the business doing small electrical jobs and installing lightning protection / grounding systems in 1977. This trade was introduced and taught to him by his great uncle. In 2011 Tim’s son Casey, a (2004) graduate of Clarkson University joined the business. Tim and his son Casey are now co-owners of Tel, Inc. and work together in the trade. Tim and Casey are both experienced electricians completing many jobs from new installs to troubleshooting issues on a wide range of electrical projects. They are also both experienced lightning protection / grounding system installers. Tim and Casey have both earned their Master Installer certification issued by the Lightning Protection Institute. TEL Inc. takes great pride in the high quality of their work and maintaining the good reputation they have earned over the past 37 years. Lighning Protection ... even then ! TEL Inc. is a current member of the Lightning Protection Institute. TEL Inc. is also listed with Underwriters Laboratory to install UL certified lighting protection systems. TEL Inc. is a member of IBEW Local 910 and employ and have access to an extremely skilled and experienced work force as a result. 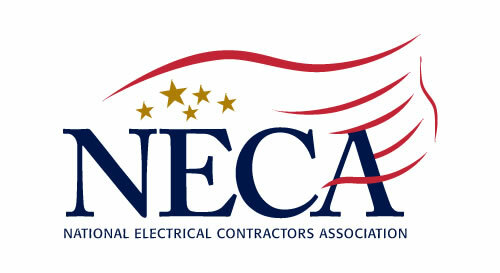 TEL INc. is also a member of NNY NECA. This is an old picture of my father's great uncle who installed Lighting Protection on a large number of north country farms.